... and a third wall. What a bright cheerful place to learn! 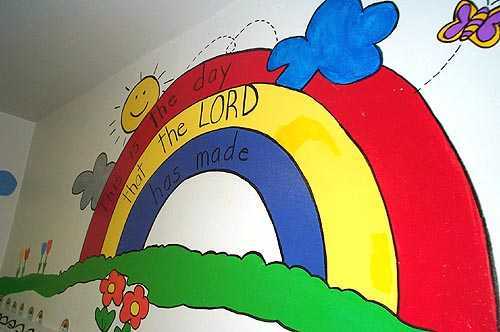 Press "Go" to search for "This is the Day the Lord Has Made" .